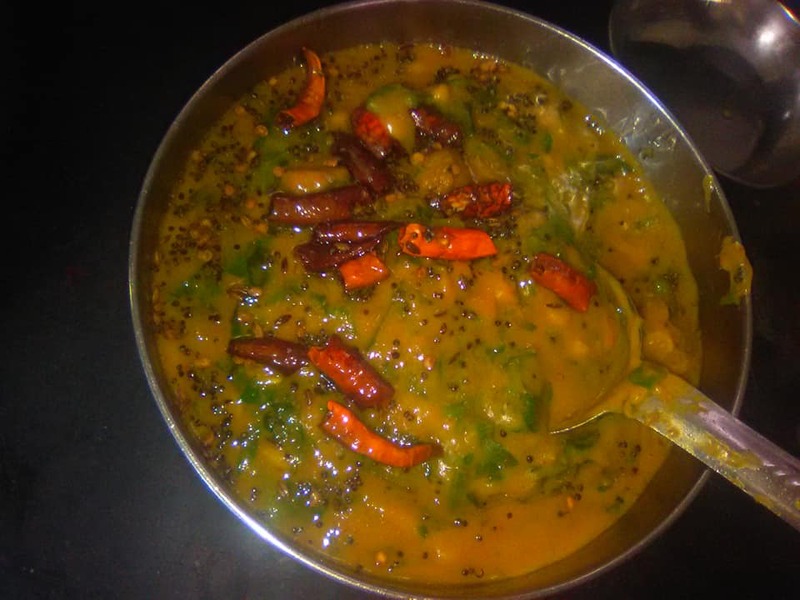 Spinach Subji , Moong Dal Chutney Recipe -Subji Recipe. How to make spinach subji& Moong Dal Chutney? – Subji Recipe . Wash the palak under the tap. Cut it into small pieces. Make a paste of green chilly ginger, garlic.Keep the pan on the gas. Pour oil into it, add mustard seeds, curry leaves , a paste of garlic, green chilly, ginger. Now add palak in to it, add channa flour, homemade met Kurt, chilly powder, salt & turmeric. Add 2 to 3 cup water. Keep it for cooking 5 minutes. Serve it with Roti , chapatti etc. PROCEDURE FOR IT : Take 1 bowl Moong dal in a pot add hot water into it. Keep it for soaking 10 min. Grind green chilly, groundnut & garlic into the mixture only for 1 round means to keep more pieces in it.Don’t make a paste of it. It reduces the taste of item. Now pour oil into another pot. Keep it for heating, add mustard seeds to splutter it. Add curry leaves. a mixture of green chilly, groundnut & garlic. Now add soaked moong dal into it. Now add remaining ingredients like salt, turmeric etc. Keep it o cook for 3 minutes . Add 1/2 cup hot water to become it smooth. Serve it with Roti or chapati. It gives a nice taste.